What is Code Week anyway? I’m still a beginner in terms of programming, but I do believe that coding is a very valuable skill that will make Europe and the world a better place. To support this cause, a couple of weeks ago, I’ve taken responsibility to be Code Week Ambassador for Romania. “Have people heard about Code Week? Is its goal clear and also how to get involved?” Let’s see in the following lines what is all about. 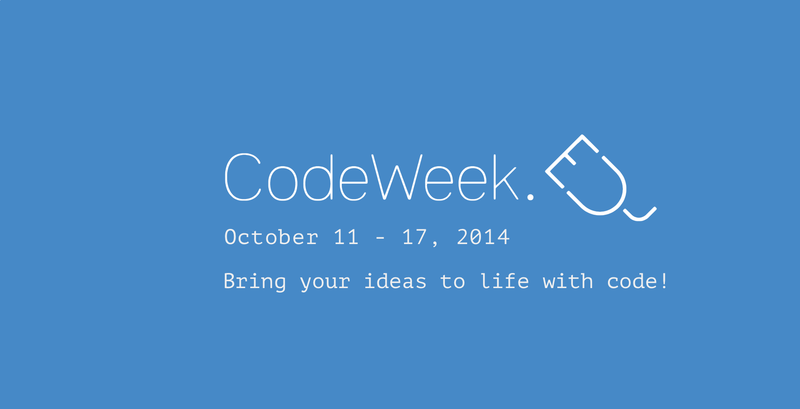 Code Week is an initiative started by Neelie Kroes’ advisors (yes, that cool lady who managed to get roaming prices down ;)) Its purpose is to promote coding and to encourage the organization of tech oriented events between 11 and 17th October. Because it’s never been easier to create your own apps and devices. You can use open source software or proprietary software, whatever fits you best. By organizing events and teaching others, you’re improving your community / city / country and spreading the word about tech. The initiative is run in all EU member states, Norway, and Turkey. You can see all the countries listed here, together with their ambassadors. Should you have any questions or doubts if your idea would fit in this concept, please let me know. I’ll be glad to help.